This converted Napoleon era chateau designed by Bambi Sloan isn’t the kind of hotel you run into everyday…. Guests of the Saint James Paris like their privacy. Lucky then, that the hotel is tucked away in le “le 16ème”, Paris’s residential and less touristy arrondissement. If not, it could be one of the most photographed spots in the city. A converted Napoleon era chateau designed by eccentric designer Bambi Sloan, the Saint James Paris isn’t the kind of hotel you run into everyday. Once you drive through the hotels’ iron gates, you’re in another world, one where beautiful contradictions create one of the most unique (and better looking ) hotels in Paris. Here, the opulent meets the fantastical, Napoleon designs meet 60’s Pop, and Louis XVI furniture look right at home against Fornasetti wallpapers.... There’s nowhere else quite like it. Every one of its 49 rooms and suites are individually designed (of course) making no two stays the same. But, more than a designer showcase, it’s a hotel, and an excellent one too. There’s a Michelin-starred restaurant which serves its homey cuisine in the elegant interiors of the former Thiers foundation dining room or outside, alfresco, on the Terrace. The Library Bar is a stunning space where cocktails and conversations take place between walls lined with 12,000 leather bound books, and at the spa, enjoy a Moroccan-style hammam and treatments which lather you with Guerlain products. It all makes for a glorious trip down the rabbit hole you can’t help but love. Only chateau-hotel of the city, in its own private garden. Listed library-bar of 12000 books. Perfect location in the most exclusive part of Paris, close to Trocadero and Champs Elysées. It is a really fantastic hotel. My hotel in Paris! I am a regular and booking the Saint-James is a pleasure I always look forward to. Excellent hotel! Staff was superb! Will definitely sat there again, soon, I hope! Just such a unique experience in Paris. The decor is really quirky but when we found out that the site of the chateaux is where the first balloon flights in Paris landed it all became clear! We really enjoyed our stay and would visit again or suggest to friends without hesitation. I'd love to know where to get one of the balloon structures in the garden too! A very refined and elegant hotel in a quiet neighborhood, but very convenient to the Metro station and excellent taxi service. Beautiful hotel. Loved it and very nice staff. We have no criticisms of this hotel. It’s superb, and that term doesn’t even do it justice because while staying here, you have the impression of being in a private club, but one that doesn’t feel restrictive. While here, there’s a cosy feeling, a sense of tranquility and complete luxury without an ounce of pretension. You feel that you’re in Paris, but far away from its fast paced and hectic nature. There are a thousand thing to say about the place, but to summarize it in one word: Perfect. An exceptional hotel with quality service and attentive staff. Wonderful hotel with a special flair and very beautiful interior. The staff was extremely friendly and helpful. Everything at breakfast was high quality. The hotel is easily to reach by car and also very close to the metro and even in walking distance to the Eiffel tower and the Champs elysees. This splendid hotel made for a very enjoyable stay in Paris. I appreciated the help I received from Vanesha and her assistants in changing the booking dates after I gave the wrong dates. Many thanks. I am now a regular at the Saint-James and I love this hotel for its charm, its comfort, quiet (and garden), bar and, above all, the quality and the friendliness and efficiency of its staff. Saint James Paris was by far the best hotel experience of this year. We look forward to returning. The hotel is opulent and splendid, the staff could not be more helpful and the food was sublime. It's my second stay at this wonderful hotel and I cannot wait to return. Thank you for a perfect weekend. Great hotel. Very eclectic decoration, but that's exactly what made us decide to select this hotel for our honeymoon. The restaurant is small in size, but that gives the impression of exclusivity to the customer, and the food is astounding. Absolutely fabulous hotel in every respect. We will definitely go back. The only very slight disappointment was that breakfast was not included in the price. An excellent hotel and an address worth keeping. Loved the hotel Saint James. Would definitely stay there again. I loved the old world charm of the hotel. It reminded me of a beautiful Chateau and I would definitely stay there again. It is a beautiful hotel. I love the Saint James Paris. I would recommend highly recommend it. They treated my 9 year old son very well. All staff were polite and offered greetings. Excellent experience. Can't wait to go back. So happy we chose this hotel. It is truly special. Fantastic. 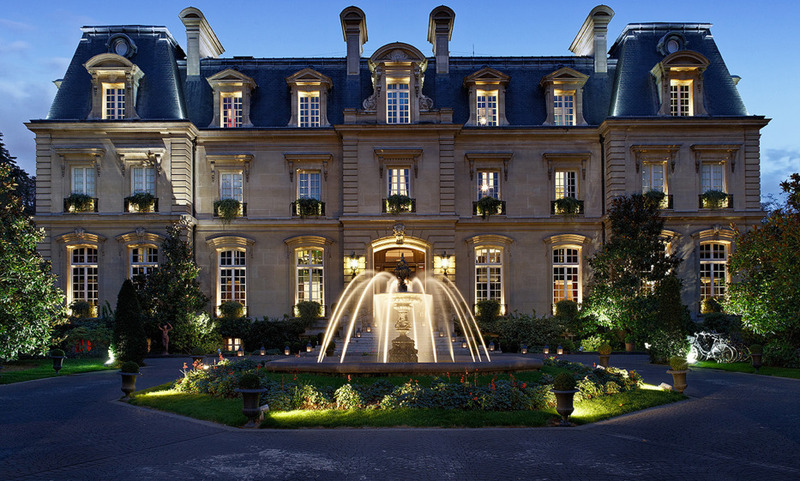 Next time we are in Paris, we will definitely return to the Saint James. It retains a very personal touch inside a beautiful hotel. Service was impeccable. Expensive but fantastic. The location and the grounds could not be better. Excellent. More of a luxury club than a hotel.